You'll feel comfortable at these haunts. (SPOT.ph) As Metro Manila’s business district, Makati City is a busy, often crowded city. That doesn’t mean that you can’t find cozy corners where you can hang out though, especially if you prefer to have some quality me-time. 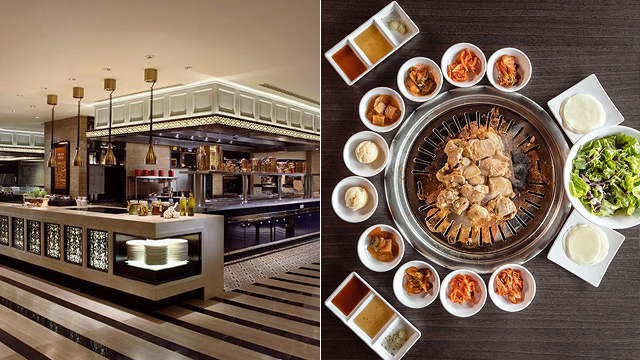 Here are 10 restaurants in Makati that are great for when you want to dine solo. 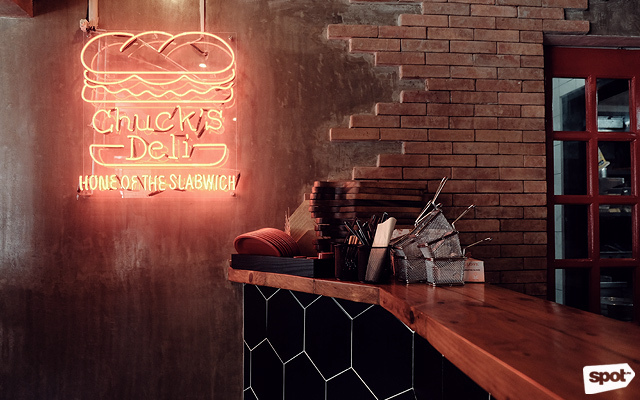 After a hiatus of four years, Chuck’s Deli reopened in Poblacion with an edgier vibe but the same hefty sandwiches. Their Slabwiches are big enough to be shared by two, but you’ll feel comfortable enough to dine solo with their bar-type seating, which faces the window. Plus, considering they have The Buffy—with thick chunks of buffalo sauce-covered fried chicken between toasted ciabatta—you might not be that inclined to share, anyway. Chuck’s Deli is at 4636 J. Molina Street, Poblacion, Makati City. While tucked in an alley behind Tambai, Wantusawa is anything but hidden, thanks to the crowd of diners always mingling around the area. Still, with only 16 seats available, you’ll feel cozy here even by your lonesome. 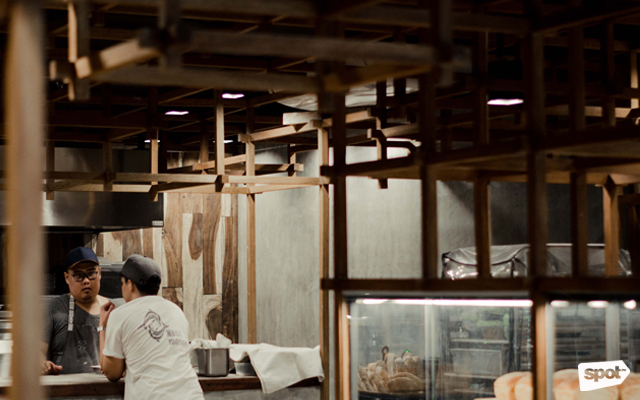 Wantusawa’s specialty is Aklan Oysters, which you can get Fresh, Baked, or Grilled—and you can even watch them prepare your food at the open kitchen. 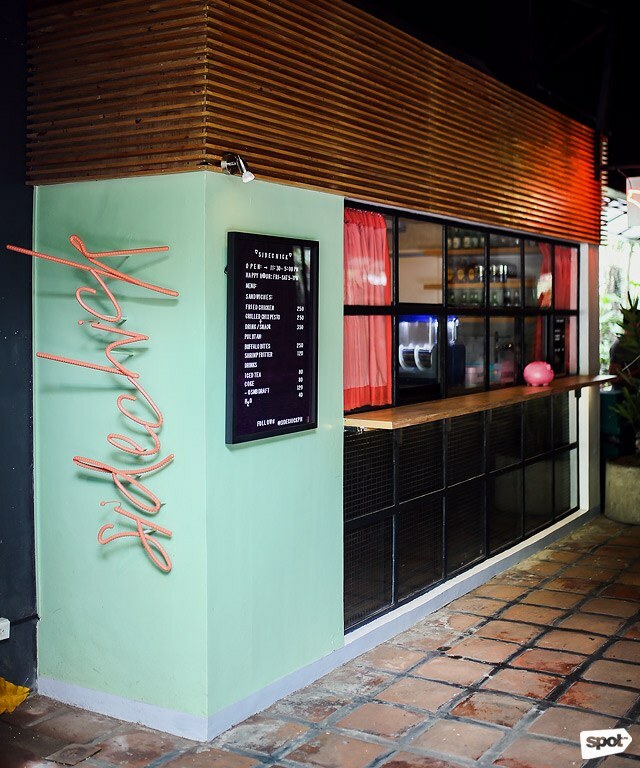 Though they’re primarily a take-out shop, Sidechick has a few seats available in front of their booth at the usually-peaceful The Alley at Karrivin. Their signature Fried Chicken Sandwich, with a thick buttermilk fried chicken fillet stuffed between two soft buns with tangy coleslaw, is a must-order. But if you’re staying, might as well get the melt-in-your-mouth, velvety Keso Cake. Aside from picture-perfect, eclectic interiors, Loco Manuk has bar-type seating on their first floor—it faces a window, so it's great for people-watching. Their food is just as vibrant, with chef Danny Parreno taking inspiration from his Peruvian roots as well as Southeast Asian flavors. As their name suggests, chicken is the star here: Have the Wood Roasted Chicken, juicy, tender, and with mild fruity-smoky notes from being roasted over mahogany and kaimito wood. Loco Manuk is at 5072 SGC Building, P. Burgos corner B. Valdez Street, Poblacion, Makati City. 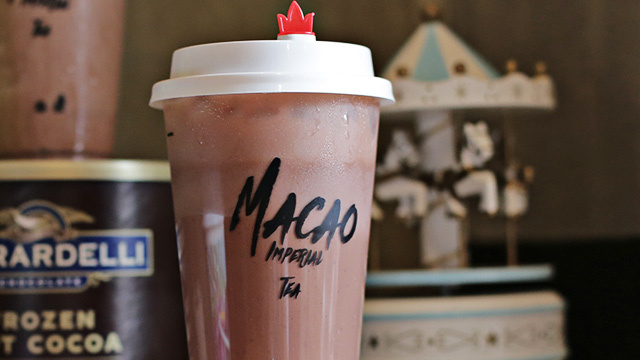 Poblacion may be known for the lively and often rowdy nightlife, but the district is also home to cafés that are perfect for hiding away when you want time to yourself. One such place is ABKD at Alfonso Street, an area a few blocks away from the noisier club scene. 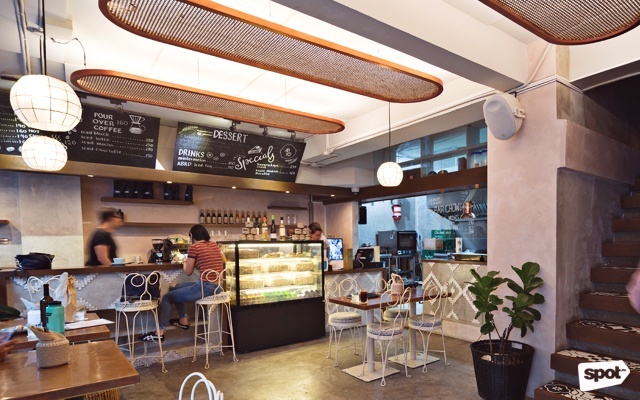 Aside from excellent coffee and pastries, come for their creative takes on classic comfort food: Carbonara here, for example, trades the usual spaghetti for the firmer bucatini. 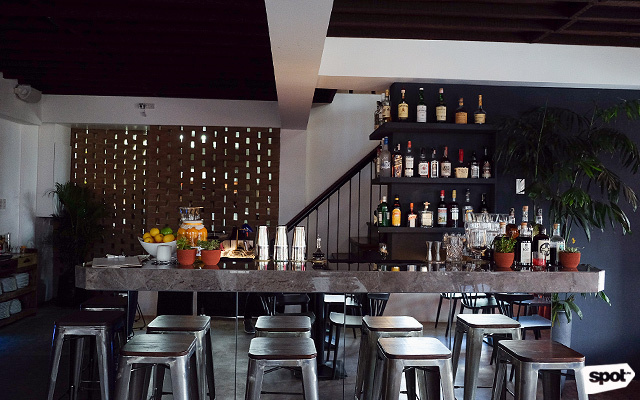 Pro tip: ABKD also houses a speakeasy on their second floor—drop by when it opens at 5 p.m. so you can have your drinks in peace. ABKD is at 5663 Alfonso Street, Poblacion, Makati City. You might not think that a food hall is the best place to eat in when you're by yourself—the place can feel too wide and bright, and packed with diners milling about. But The Grid at Power Plant Mall could change your mind. 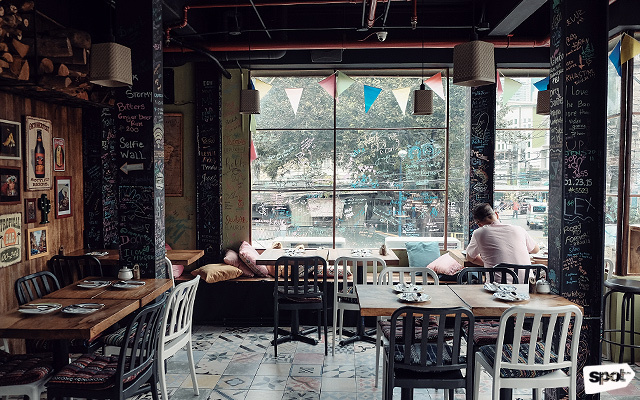 The bright, sun-lit space is spacious enough to never feel crowded even during the lunch rush and has lots of cozy nooks where you can have your meal alone without feeling awkward. Plus, with 15 tenants to choose from, you can eat here almost every day and never get bored. The Grid is at Level R2, Power Plant Mall, Rockwell, Makati City. Tapas aren’t necessarily food you'd first think of when you contemplate eating by yourself—the small plates always seem like something meant to be shared. But they're also the perfect size for one person to munch on. 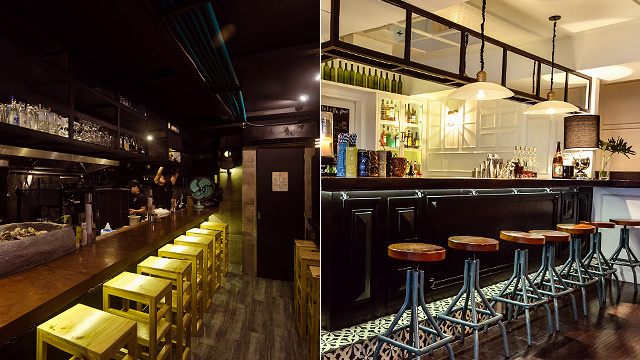 Plus, their bright new spot in Salcedo has bar seating—you can chat with the bartender while you wait for your drinks. Aside from their regular menu, Rambla in Salcedo also has dishes from BCN and Las Flores, which just means more tasty tapas for you to try! Rambla is at 129 Unit G12 Tordesillas Street corner Bautista Street, Salcedo Village, Makati City. 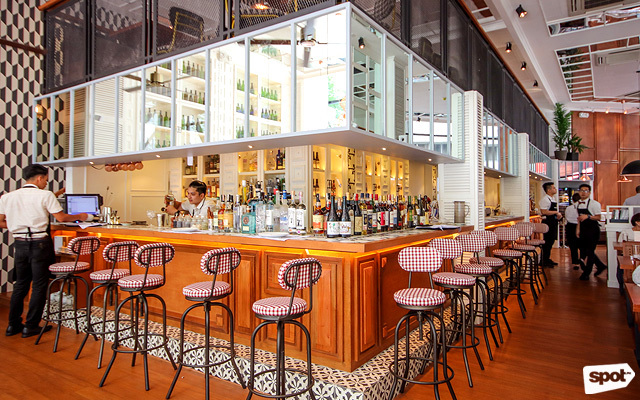 Spanish-Italian bistro La Collina can feel like an oasis in the sea of edgy industrial-inspired restaurants in Poblacion with their elegant-yet-homey interiors and abundant greenery—they are, after all, in an ancestral home-turned-restaurant. The food, too, is fresh and vibrant, with owner Anita Celdran sourcing ingredients locally as much as possible. 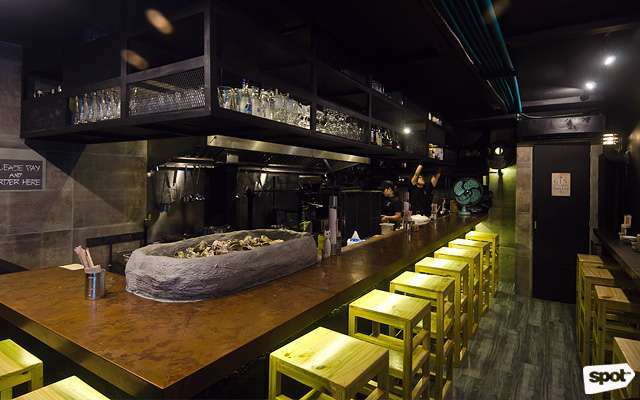 The restaurant has cozy nooks but if you really prefer to be alone, you can opt to sit by their bar area. La Collina is at 4558 Molina Street, Poblacion, Makati City. 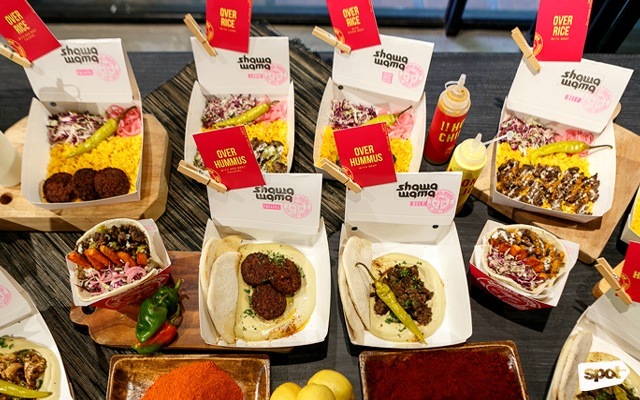 With a cool, vaguely vintage, purple-and-yellow aesthetic, The Moment Group’s Mediterranean concept, Shawa Wama, is hard to miss at Power Plant Mall, even though they’re simply a take-out nook with a small dining area. The limited seating is actually a plus for solo diners—and we're sure you’ll want to dine in and savor The Primo Beef Slab. Don’t forget to slather your meal with their four house-made sauces: Mild Chili, Hot Chili, White Garlic, and Lemon Garlic. Shawa Wama is at Level P1, Rockwell Powerplant Mall, Plaza Drive, Makati City (beside 8 Cuts). When you have a busy lifestyle, sitting down with a warm cup of coffee and freshly baked bread in the morning can be a luxury you don’t usually get to savor. Those who work near The Alley at Karrivin are lucky to have Panaderya Toyo—think of it as a leveled-up neighborhood bakery. 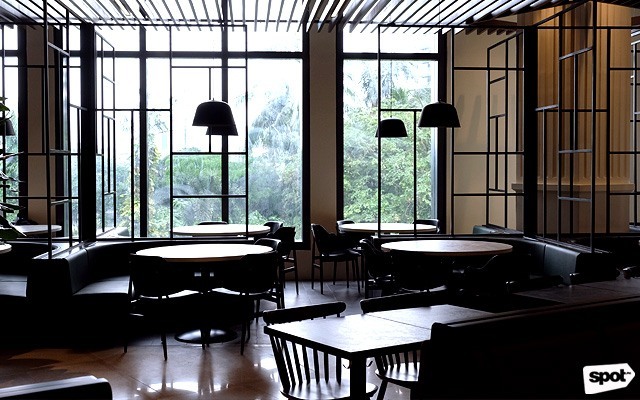 The communal table by the window is the perfect spot for solo diners—have a seat with their freshly baked pan de sal or sublime egg sandwiches, plus a cup of coffee, and get a headstart on that book you’ve been meaning to read for so long.